bottom of the “Join the team” page. 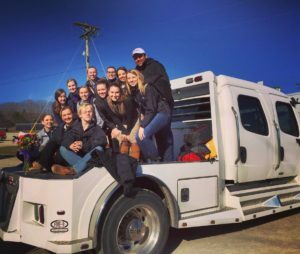 The University of Cincinnati Equestrian Team (UCET) was founded in 1997. It is a nationally competitive club sport at the university with semi-varsity status. The team is made up of riders at all skill levels, with a competitive team and a leisure team. UCET is limited to 50 competitive riders, though our leisure team is unlimited. All team members are required to take one lesson a week at Saddle Lake Equestrian Center. If you would like more information about joining the team please visit the Join the Team section. UCET is a part of the Intercollegiate Horse Show Association (IHSA) riding in hunt seat equitation on the flat and over fences, reining, and western horsemanship. UCET competes in Zone 6, region 3 within the IHSA, showing against Xavier University , University of Kentucky, University of Louisville, Morehead State University, Midway College, Georgetown College, and Northern Kentucky University. In order to be eligible to compete within the IHSA, students must be enrolled full-time at any college within the University of Cincinnati system carrying a current load of twelve credit hours or more. Due to IHSA rules, only undergraduate students can compete. Graduate students who competed within IHSA during their undergraduate study can compete within the IHSA alumni division. Missy Jo Hollingsworth grew up showing horses. Her first pony was delivered to the farm before she was born. She competed in both the western and hunter arena starting in early childhood. When she was not competing she was riding along to various farms in her father’s farrier truck. In college was studying Animal Science she rode for Dr. Charles Anderson at Western Kentucky University on the equestrian team and competed on the judging team. Both teams were nationally competitive and the equestrian team won the national title in 1990. At the National IHSA competition in 1992, Missy Jo was announced as winning the IHSA scholarship. At that time she was riding dressage horses, competing at USDF shows was awarded the Dr. Benson Jr. Young Rider Award. In 1994 she earned top honors at the National Horse Judging Competition. 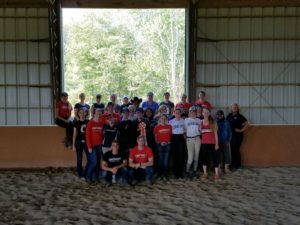 In April of 1996, with the help of Joe Kremer in construction and the business guidance of Nancy Kremer, Saddle Lake Equestrian Center opened its doors. In April 2014 an Ohio location was added SaddleLake is a full service training facility with a strong breeding program. Missy Jo has become a well-respected trainer and has been named “Trainer of the Year” by the Kentucky Quarter Horse Association five times (’03,’05, ’07,’08, ’11) She is an American Quarter Horse Association Professional Horseman, and a Kentucky Equine Education Project team leader. She is also currently the president of the Mid-East Quarter Horse Association which hosts an AQHA Show at the Kentucky Horse Park yearly ranking top 15 in country in number of entries, and a director for the Kentucky Quarter Horse Association. 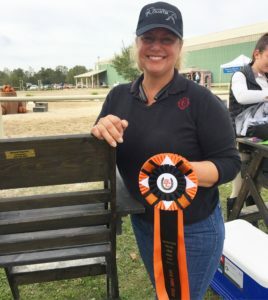 For many years Missy Jo has had customers compete regularly at USHJA approved shows and are very competitive at all levels. They have earned many year end titles with KHJA including medal finals and a USHJA silver medal winner. 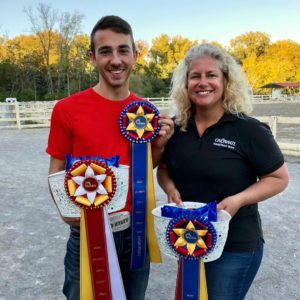 Many dozens of students also win and place in the top ten at the American Quarter Horse World Shows, International Buckskin World Shows and one of the world’s largest shows, the All American Quarter Horse Congress. In addition many riders have also gone on to compete at a college level, winning top honors at Nationals. The University of Cincinnati Equestrian team hired Missy Jo in 2007. Since then the team has moved from 8 riders to 50. In 2007 for the first time in UCET history, the team was top five in the region for both western and hunt seat division. In 2008, the Western team took the regional title and the Hunt seat team was fourth overall. Since that time UCET has had National Representation every year at the IHSA National Championships, Award winners in Hunt and Western Events and IHSA Scholarship winners. 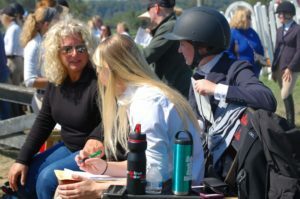 Academic achievement is very important to Missy Jo so Scholarships were established in 2009 with the help of one of her Saddle Lake Equestrian Center customers. In 2012 the University of Cincinnati named Missy Jo “Coach of the Year” for her work with the team. Missy Jo is dedicated to providing the best possible care for horses, teaching students the fundamentals of riding, whether they are beginner or advanced, and providing a fun, safe environment in which to learn. Missy Jo wants to help her students develop a strong sense of self-esteem and confidence with horses and in their everyday lives.